The global population of a marine algae called phytoplankton has declined by 50 percent since the middle of the last century, threatening marine creatures that depend on the microscopic plant for food. Scientists blame global warming for the trend. 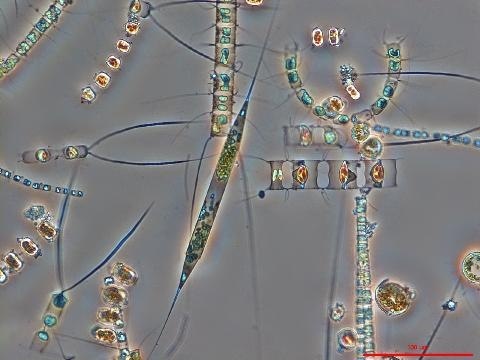 Tiny green phytoplankton are a food staple for many ocean creatures, according to marine biologist Daniel Boyce of Dalhousie University in Nova Scotia, Canada. Boyce says phytoplankton are similar to trees and grass on land. "They produce energy through the process of photosynthesis. So in the presence of sunlight, they convert inorganic energy to organic energy. And by doing this, they form the base of the entire marine ecosystem. So they are the food for everything — from little zooplankton up to the big whales," he said. Boyce and his colleagues compiled and analyzed data going back to the 1800s. Researchers found that the amount of phytoplankton had decreased about one percent of the global average per year with about a 40 percent decline since 1950. The strongest trends were found in the Northern Hemisphere. The UN is set to channel billions of pounds of public money from rich countries to giant energy companies to build 20 heavily polluting coal-fired power plants on the basis that they will emit less carbon dioxide than older ones. 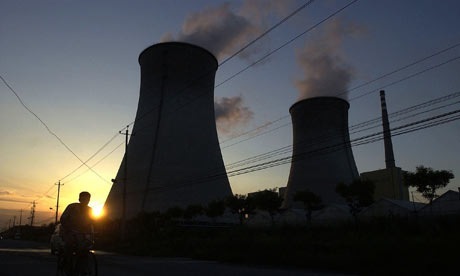 Data seen by the Guardian shows that 12 companies have applied to the UN for hundreds of millions of emission reduction credits to subsidise "efficient" coal-fired power stations in China and India. Many of the plants would be paid for with carbon offsets bought by British and European companies in lieu of cutting their own emissions.